Advanced Enzyme Technologies Ltd IPO - Should you invest? Home » Stock Market » Advanced Enzyme Technologies Ltd IPO – Should you invest? Advanced Enzyme Technologies Ltd IPO – Should you invest? India’s biggest enzyme company Advanced Enzyme Technologies Ltd IPO will be opened on 20th July, 2016. Advanced Enzyme Technologies is planning to raise 412 Cr with this IPO. Issue price of this IPO is fixed in the range of Rs 880 to Rs 896. Let’s explore and try to find out an answer that Advanced Enzyme Technologies Ltd IPO is worth for investment or not. Advanced Enzyme Technologies Ltd is engaged in research, development, manufacturing and marketing of Healthcare, Nutrition and Bio-processing products. Advance Enzyme operates in two primary business verticals namely Healthcare & Nutrition (human and animal) and Bio-Processing (food and non-food). Prepayment / repayment of certain loans availed by its fully-owned subsidiary Advanced Enzymes USA. Advance Enzyme Technologies financial performance over past five years is extremely good. The top line of the company is expanding every year. Between FY 2012 and FY 2016, Advance Enzyme Technologies top line grew at CAGR of 14.4%. Net profit margin of company is also increasing YOY. 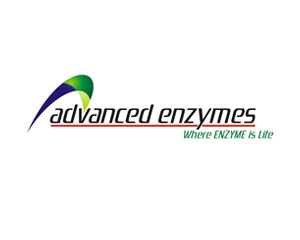 Advanced Enzyme Technologies Ltd is 2nd largest enzyme company of India. This company deals in 400 proprietary products from 60 enzymes. The Company has 13 patents registered in its name and applications for registration of 4 patents are pending. Advanced Enzyme Technologies has 700 global customers across 50 countries around the world. The Company has very good R&D team consist of over 55 scientists, microbiologists, engineers, food technologists and biotechnologists. Advance Enzyme Technologies has specialized business model with high entry barriers. Diversified product range and wide customer base. Experience and strong management team. Financial stability and stable cash flow. There are certain legal proceedings against company and group of companies. Any adverse decision in such proceedings may have a material adverse effect on the business, results of operations and financial condition. There are certain criminal matter against non executive and nominee director of company. Failure in this proceeding may have adverse impact on reputation of company. Lot of dependency on foreign subsidiaries especially in North America. Historical revenue is significantly depended on top five product group. Any reduction in demand or sell of these products will adversely impact on business. Majority of business is export related and income is depended on foreign currency and it involves risk of currency fluctuations. Should you invest in Advanced Enzyme Technologies Ltd IPO? Advanced Enzyme Technologies Ltd deals in multiple proprietary products. Company has strong customer base in the global market. The company is exhibiting very strong financial performance and balance sheet. Strong management team and promoters credibility is another plus point for this IPO. This is first IPO in enzyme segment. Looking at track record and future business prospects it is advisable to invest in Advanced Enzyme Technologies Ltd IPO. Ravi Sir , is it a BUY on Listing ?? please share your views. It depends on price of stock.However, I think it is likely to list with 10% gain. how are you saying the company has a good management when they have criminal track record. Criminal Case is one Non executive director and Nominee Director as per DHRP. It is not on main management members of the company.